Former Chelsea midfielder Craig Burley does not believe that Romelu Lukaku will survive at Manchester United if Jose Mourinho is sacked as manager. The Belgian striker has just 4 goals to his name this season after 11 appearances in all competitions, as the Red Devils have endured a miserable start to the 2018-19 campaign. Manchester City, Liverpool and Chelsea are all seven points clear of United at the top of the table, while Mourinho’s men have also exited the Carabao Cup at the third round stage as a result of losing to Championship side Derby County on penalties. 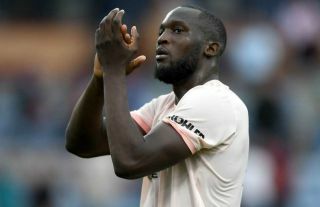 Lukaku has struggled as the club’s main striker despite the plethora of attacking talent around him including Alexis Sanchez, Jesse Lingard, Anthony Martial and Marcus Rashford. United seem to be lacking a spark going forward in general, but the Belgian shoulders the main responsibility in terms of goal-getting and he is so far failing to meet the club’s high expectations, which could lead him to a career crossroads in the near future. According to ESPN, Burley predicts Lukaku will eventually be shown the exit door at Old Trafford, particularly if Mourinho ends up leaving the club in the near future. “He’s one of a number of United players that, once Mourinho goes, will have to be outed by the new regime,” The ex-Premier League start told reporters on Wednesday. “Whether that be a sporting director or a new manager. Burley also suggested that Rashford could be a better option for the club in attack, revealing his admiration for the Englishman who has been deployed in wide areas for the team in recent times. “If he’s not playing well and not making the runs, Marcus Rashford is a natural striker,” He added. After the international break, the Red Devils face a tough away trip to Stamford Bridge, where Mourinho will try to mastermind the downfall of his former club. Lose or draw against Chelsea and the club will face yet another setback in their pursuit of silverware this term, which means it couldn’t be a better time for Lukaku to step up and prove his doubters wrong.